The USA Network app is the place to catch up with the most recent season of your favorite USA Network shows and watch tons of great movies, available live and on demand! 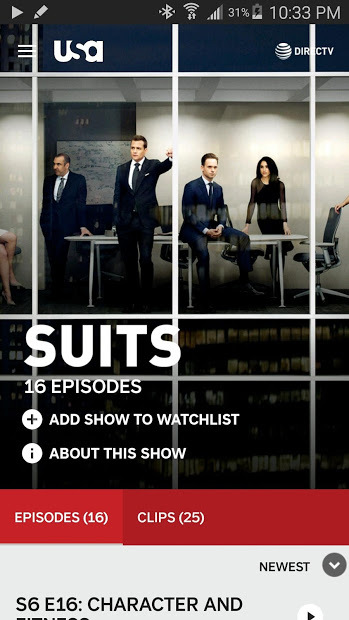 Download the USA app to watch full episodes of Suits, Mr. 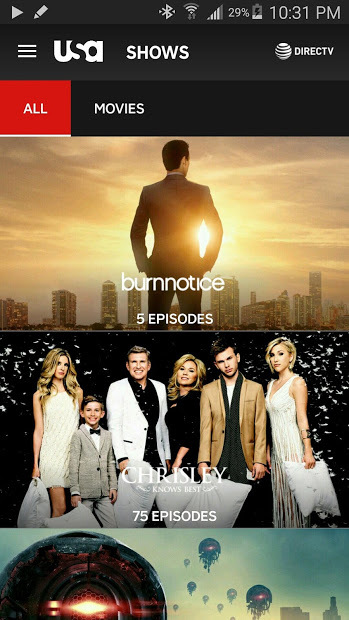 Robot, Chrisley Knows Best, The Sinner, WWE, and many more! Stream new episodes live from within the app and cast them to your Chromecast to enjoy your shows on the big screen. Can’t finish an episode in one sitting? The app saves your place so you can resume watching later! 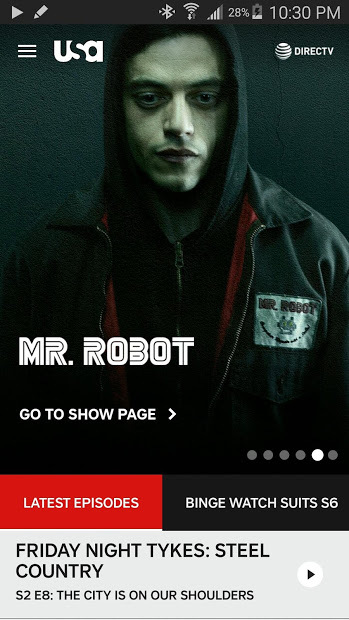 Save your favorite shows to your Watchlist for quick access to the latest episodes. Note: To get started sign in with your TV subscription (cable, satellite or digital). The USA app supports most TV providers, including DirecTV, Spectrum, Xfinity, Dish, and AT&T.